Fluminense have terminated Ronaldinho's contract at the former two-time World Player of the Year's request, the club announced on Monday night. The 35-year-old midfielder had been with the Rio de Janeiro club for little more than two months. During his time with the club, the former World Cup and Champions League winner participated in just nine games, failing to score or record an assist in a disappointing spell that saw him often booed by Tricolor supporters for poor performances. "Fluminense hereby announces the breaking of their contract with Ronaldinho Gaucho in an amicable form and in mutual agreement between both parties," the club's official statement read. "Since first contract with directors, the athlete and his representatives treated the club with professionalism and respect. "Fluminense and Ronaldinho will proceed with ties maintained and plans to work on other projects in the future." 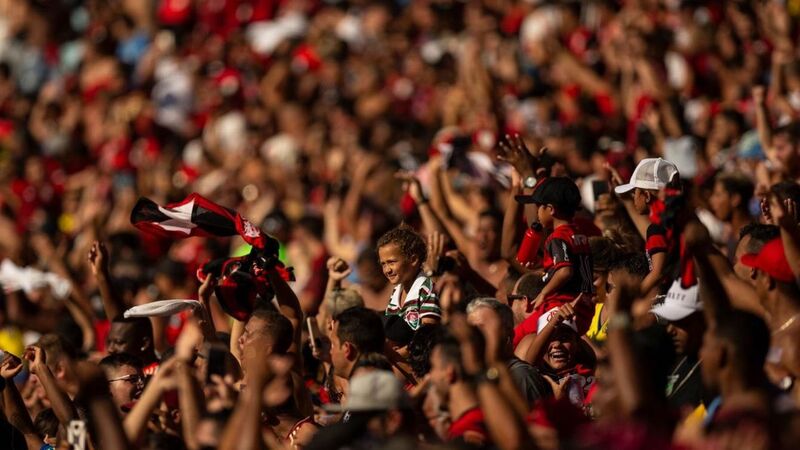 The former Flamengo man's most recent stay in Rio was marked by poor performances, but provided the club an economic boost in terms of increased socio numbers, ticket and shirt sales. And the club acknowledged his contributions away from the pitch. "It's important to mention that the signing corresponded with our expectations in relation to marketing returns, increased ticket sales, sales of shirts and number of socios," the statement continued. Ronaldinho signed with Fluminense after being released from his contract with Mexican side Queretaro in July. At the time of his arrival, Fluminense were fighting for a Copa Libertadores spot at the top of the league table. They now sit 12th, just six point from a relegation place.